If you are a business person and feel you are handling too many mails every single day, you can outsource the task of filtering your email inbox and deleting the spam mail. Your virtual assistant will check your email inbox 2 times a day and delete spam and will organise your inbox even as they unsubscribe you from any unwanted email lists. Importing new contact information, adding that to your existing database and updating contacts in CRM can be quite a tedious task, but is an essential one. Your virtual assistant can ensure that all new leads are added as and when they come in and that existing contact’s data is updated with regularity. Every small business owner has to answer to customer emails and ensure that they provide chat support to their customers. If any complaints have been lodged by a customer, you would have to address those too. A virtual assistant can take all these time-consuming tasks off of your hands and will responds to customer emails and chat support requests. 4. Sending of Greeting eCards, Event Invitations, etc. You send out event invitations to prospective customers and greeting eCards to wish existing customers on important dates like their birthdays, anniversaries etc. as it’s a good way to build a strong relationship with them. Hiring a virtual assistant for this job, takes the burden of this administrative task off of your shoulders and you don’t have to worry about omitting to do these things. Any business person that manages a team or group of people knows exactly how challenging it can be to schedule, re-schedule and track meeting, RSVP responses and absentee reports. Your virtual assistant will manage all these and will ensure there is no overlap or clash in schedules, and that all this information is synced to your mobile device- this helps streamline your business day effectively. Most business owners now use appointment scheduling software to ensure that there is no double booking of time slots. However, the software doesn’t work by itself and you may find yourself feeding in information and appointment timings too often. A virtual assistant will ensure that the appointments and timings (with changes in schedules etc.) are uploaded and this helps you keep things on track. Many business owners travel for work and making flight bookings, rescheduling them (in case of changes in meeting schedules), checking what amenities are available on a flight and looking for the best fares and routes with the shortest layovers etc., can become quite a hassle. However, a skilled virtual assistant will be able to efficiently handle these so there are no glitches in your travel arrangements. Business folk wear a number of hats and that also means they juggle schedules, travel, appointments, meetings and more. Many also find it very difficult to use integrated software and manage it well. You can reduce the possibility of a slip-up by hiring the services of a virtual assistant to send you text reminders, email reminders, appointment and meeting reminders as per the different things that are scheduled for each day. When you share files and documents via Google Drive or the Dropbox tool with members of your team, it doesn’t take long for these storage spaces to get messy and too full up and you run out of storage space for various important documents. A virtual assistant can help you keep these tools organized, will purge unnecessary documents and streamline the rest so that you have a clearer view of all the saved docs and files. Many business owners share important work-related documents via Google Docs and have a lot of information stored in the form of word documents. These documents only keep piling up over time and you may find it’s very difficult to organise them and sift through and discard the ones that are redundant or unrequired. When you outsource this job to a virtual assistant, they will handle this job for you efficiently. Excel spreadsheets are widely used for recording data, creating reports and storing information. But creating and managing these requires good knowledge of the software to implement the formulas and functions; all of which can be quite a tedious and time-consuming task. A knowledgeable virtual assistant will be able to take this essential job off your hands and will make sure that all the data, records and information is maintained well. Powerpoint and Keynote presentations are a part and parcel of most business meetings; and project plans, reports and progress may be displayed on these to add a visual medium as a reference point. This job can easily be outsourced to a skilled virtual assistant who is adept at preparing these presentations; it can save you a considerable amount of time and trouble. It’s common for some presentations, flyers and other content to be created in PDF format. But when you need to use, edit or add to any of the information on a PDF file, you need to convert, slip or merge it. While there is software for the actual conversion, merging and splitting, the task has to be done meticulously and a virtual assistant can help with that. There are times when meetings, interviews and presentation recordings have to be transcribed. This could be required because they have to be published, documented or simply filed for office purposes in the form of a word document. You can hire a virtual assistant to transcribe your business’ audio and video files. The person needs to have good listening and writing abilities to handle this job effectively. Many businesses publish Ebooks; it’s a great way to provide current and prospective customers valuable information and establishing your reputation as an expert in the field. While writing the content may be something you could manage yourself, the layout and formatting can be quite tedious and requires time and practice. Hiring a virtual assistant for the latter is an excellent option. With the launch of the latest Internet-based communication technology, it is now common for team members within an organisation to work from various remote locations, and meetings are conducted online too. Hiring a good virtual assistant for preparing online meeting minutes is the smart method of getting this necessary administrative task off your plate. The person also ensures that the minutes are emailed to all the attendees. There are a number of big and small administrative tasks such as filing and sorting information and assimilating data that are in integral part of any business’ operations. Once all this information and data has been collected and sorted, detailed reports have to be created too and a virtual assistant can handle this job expertly. These reports become reference material for future projects your company handles. Most businesses use word documents in one or the other form and have a specific format they follow to fill out information, data or statistics; and it’s crucial to ensure that all these documents are in a specific format. Document template creation may seem like a simple task, but you may need various templates; and it’s best to outsource this job to a skilled virtual assistant. Staying ahead of your competitors is about keeping your eyes and ears open. You have to regularly conduct research online and check where your rivals stand in the market. Outsourcing this job to a virtual assistant can take the stress out of this task and they can collect statistics, facts and figures that will help you build stronger strategies and stay ahead of the game. Any company that’s serious about its business adopts data mining and lead generation processes in their marketing and business development strategies. The virtual assistant you hire will use specialised software to regularly look for patterns in chunks of data that you can use for lead generation and for developing effective marketing strategies, reduce costs and increase sales. Blogging is another activity that most companies try to incorporate into their online marketing strategy. These jobs can be handled efficiently by an experienced virtual assistant who has the ability to proof, publish and upload blogs to the company site. In many cases, these blogs are accompanied by images or infographics and your virtual assistant would be able to handle that job as well. When you have a business blog site and upload content regularly, you will start receiving online comments from readers. This is a great opportunity to start a conversation and keep your readers engaged and is something you’d have to do with consistency. A virtual assistant can moderate these comments, reply, disapprove or approve as appropriate. When you keep the conversation going, it helps up your credibility too. When you add blogs to your website, you want them to reach a wider audience and that’s the one way to increase your customer base. When you add tags and images to your blog posts, it makes them more searchable and increases the chances of them getting indexed by search engines. Hiring a virtual assistant for this job takes a regular task off of your hands. Many businesses need receptionists to handle client calls and field basic queries; online businesses need assistants to handle this job as well. You can hire a skilled virtual assistant for receptionist duties and this solves the problem of having one in your office. It’s an excellent option if you want to save on infrastructure and space and it’s a more cost-effective option as well. As a business person, you must be receiving a number of work-related calls. However, it isn’t always possible for you to take every call, especially when you are in a meeting with a client, addressing your staff members, driving, or caught up in some work in your office. You can hire a virtual assistant to check your voicemail and provide you details about which ones are important and which can be ignored. Once you have completed a job or delivered a product, you also send across an invoice to the client and this can become a task of large proportions; it is one that can’t or shouldn’t be delayed or omitted. Hire a virtual assistant to send out client invoices at the point of project completion and you will notice it’s one that gets done with regularity and consistency. Almost all businesses in Australia use one or the other bookkeeping software package and these are an excellent alternative to traditional paper accounting. However, these too need a certain amount of time, skill and expertise to operate and master. A better alternative is to hire a virtual assistant who is conversant in these systems; this will ensure your accounting is up to date at all times. As a business owner, you may find that you have very little time to dedicate to various personal errands and it’s a good idea to hire a virtual assistant to book hotel reservations, purchase gifts online, send flowers to your family and friends on special occasions etc. This ensures the work gets done in a glitch-free manner at the right times and you won’t have to look for excuses for having forgotten to do these things. Project management can be a very complex task, even for a small business. It involves goal setting, delegating tasks, coordinating between the team members, scheduling, collecting data and reporting as well. It’s a good idea to outsource project management between you and all your team members, to a competent virtual assistant. The person will be able to handle all these tasks and will report in to you with regularity. Even a small organisation needs to conduct training sessions for new hires and upgrade training for existing employees; this helps keep their skills sharp. However, preparing training content can be a laborious job that needs a certain skillset. A good virtual assistant would be able to prepare training modules that include process as well as soft skill content, both of which are essential components of any training session. There are different genres of virtual assistants, all of whom have different skillsets. While one virtual agent may be good with handling accounting requirements, another may be good with blogging and lead generation. You can also hire the services of a virtual assistant to handle on-boarding and training of new virtual staff. This helps maintain a good workflow and communication between all the team members. Regardless of whether you provide services or products, there are certain deadlines you have to meet and deliverables you have to achieve. As a small business owner, you may find it very difficult to focus on these aspects, especially if you are handling several projects orders all at once. This is why it’s a smart decision to hire a virtual assistant for this task. Social media marketing has now become an integral part of every business’ marketing campaign and Facebook is one of the most widely used platforms in this space. If you want to build a Facebook page to interact with existing and prospective clients, but don’t know how, hire a professional to handle creation of the page, groups and fan pages and scheduling of Facebook status updates. Facebook is a social media network that has a fantastic reach and its Facebook Insights tool offers a number of different metrics that can be analysed such as visits, engaged users, reach, likes and more. However, it can quite difficult to collate and interpret these insights and understand what these metrics mean for your business success so it’s best to outsource this task to a knowledgeable virtual assistant. Most businesses have a Twitter account and it is a very powerful marketing tool that’s allows you to send out brief yet effective messages. You can use it to educate customers about your service/product, promote your brand and reach a new audience via this platform. However, this requires some skill, creativity and consistency and an experienced virtual assistant would be able to handle this task for you with regularity. Just creating a Twitter account isn’t enough; you also need to tweet with regularity, track the hashtags and mentions etc. This has to be done with regularity and its why managing a Twitter account an increasing your following is no mean feat. The effective way of getting the most of your presence on Twitter is to hire a good virtual assistant for this job. LinkedIn is a social media networking service that can be operated via apps and websites and is an excellent way to network with peers, look for skilled professionals to join your workforce and interact with the business community in general. You need a competent virtual assistant to create and manage your LinkedIn account so you are up to speed with all the updates etc. that are posted there. Pinterest is a very good social media platform that has millions of users. While not every business may feel they need to have a presence here, it’s a great tool to drive traffic to your website. Posting images and content on Pinterest can be a little time-consuming and you can hire a virtual assistant to create Pinnable images that tell a story, on Pinterest for your business. Just occasionally posting pictures on Pinterest isn’t enough. If you want this marketing strategy to be effective, you would have to ensure that you post interesting and valuable Pins with regularity. While it may not be possible for you to manage this yourself, it is something a skilled virtual assistant would be able to handle for you. This will help you get the most out of your Pinterest campaign. When it comes to building a solid online marketing campaign, using YouTube as a medium to reach out to your target audience is a good way of making an impact. You should hire a virtual assistant to create and manage your YouTube account and the person will ensure that your tutorials, informative videos, discussions, product ads and information are managed and that the visits are tracked etc. YouTube videos are a great way to reach a wider audience, but using this visual medium takes a certain amount of skill and knowledge of how the system works. You can outsource this job to a virtual assistant who will upload videos on YouTube and publish them using the set of instructions that show up on your YouTube Business account. This can be done at a set schedule as well. If you want to optimise your YouTube channel, you should create the right theme and background, and ensure that all your playlists are created and categorised clearly. This improves the user experience and you will find that it attracts repeat viewership to your channel. A virtual assistant would be able to handle all this categorisation and update and make changes as required. When you post videos on YouTube, some of the people that watch them will post comments and there are times when some of the comments may not be suitable for online viewing. You can hire a virtual assistant as a moderator to your channel; the person will flag comments for removal and you can then either remove or approve the video as required. Aside from YouTube, you can upload and share videos via other media such as Facebook Video, Vimeo, Dailymotion as well as various mobile video-centric apps such as Vine, Snapchat, Instagram Video, Twitter Video, Facebook Live etc. All of this can be quite a task; but when you hire a virtual assistant to handle this for you, the individual will ensure that there is consistency across sites and you get the reach you want. If you are an active user of Social Media sites and have business profiles on various platforms, managing all of them can be a difficult task. The one way to maintain consistency in the manner in which these accounts and profiles are managed, and enquiries and messages are responded to across all channels, is to hire a professional virtual assistant for the job. The one way to be known as a credible company is to consistently share fresh, engaging and interesting content with all your followers. This boosts your visibility in the market as you are then known as the “go-to” expert in that specific field. Slideshare is an excellent tool that can be used to boost your lead generation strategy, and a virtual assistant can create slideshare presentations for you. The current generation is able to sync well and identify with online communities and the one way to create an impact is to share content via credible and effective online groups. However, identifying the right online groups requires a certain amount of research and planning and a virtual assistant would be able to handle this task to your benefit. While online marketing strategies are being widely used by businesses to reach wider audiences and make a greater impact, the fact is that traditional strategies such as email marketing are still quite relevant and effective. Only when you consistently build your email contacts, would you be able to create the impact you want. You can benefit from hiring a virtual assistant to create new lists in your Email marketing software. There are times when subscribers opt-out of the newsletter subscriptions and promotion emails they had signed up for via your website or some other platform. In some cases, the emails you send out bounce back from certain email addresses. Which means they are either incorrect or have been deactivated. A virtual assistant would be able to add and remove subscribers from the list and ensure it’s updated with regularity. Successful email marketing is about maintaining consistency and ensuring you keep the communication going with your audience; it’s why you send out promotional content and offers via email to your customers. A virtual assistant can manage and schedule broadcast emails that will ensure your promotional content reaches your target audience with regularity and your brand stays at the top of their mind. Sending follow-up mails to customers post a purchase is a good way to stay in contact with your customers. Autoresponders are advanced marketing automation solutions that can be used to send out time, and action-based messages which will reach your recipients at the scheduled times. A virtual assistant can handle this job for you with regularity. Many customers and visitors to your site sign up for email newsletters. This can be a very effective marketing tool if it is used in the right manner. Since this is something which has to be done with regularity, its best to hire a virtual assistant for the job. The person will create targeted and interesting, yet concise newsletters that create the right impact and have the right amount of lead generation potential. When you send out mails to prospects and existing customers, it’s crucial that the content be relevant, interesting and well written. It’s equally important that the business mails be error-free from a typographical and grammatical viewpoint; and you may not always have the time to do thorough proof checking. Hire a virtual assistant to edit and proof-read emails before you send them out to your customers. If your business necessitates regular recording and sharing of audio files, you may be finding yourself editing these files too. This task requires time and patience and as a business owner, there are many other roles you have to play. It’s best to hire a virtual assistant for basic editing of audio files. The person you hire for the job can also share them with relevant people within your organisation. Whenever you record audios and videos as part of your meeting’s proceedings or when you are attending conferences or conducting interview, the background noise can affect the quality of the recording; at times the actual voice/s can become inaudible. You can hire a virtual assistant who will use various online tools to remove this background noise and improve the quality of the audio and video recordings. YouTube has an intro and outro feature and you can add text introductions or outros as well as royalty-free music tracks to your videos. This adds a very professional look to your videos. As a business, you may have a lot of videos to upload and it’s a good to hire a good virtual assistant to add these pieces of content to your video recordings before uploading them. As a small-business owner, you may be uploading a number of photos and images to your website, social media accounts or even your offline media. You may want to process these photos and images and there are many tools that can help you do this. However, it’s also a good idea to consider outsourcing this job to a virtual assistant who will then run them by you for final approval. Wordpress is a very popular open source website creation tools and many business owners choose to use this to build their company websites. You can use a number of plugins that give your site added functionality. Many businesses use the powerpress podcasting plugin as uploading podcasts for their customers to access via the Internet. 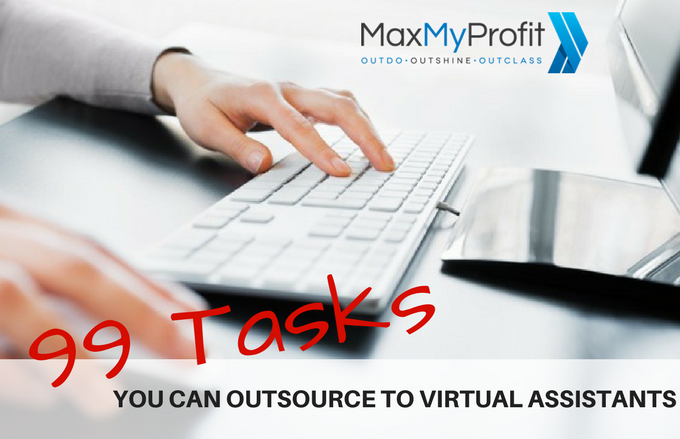 Hiring a skilled virtual assistant can take this task off your hands. If you want to publish any of your podcasts on iTunes via Blogger or WordPress, you would first have to set up podcast on your iTunes account. This is a great way to provide your customers and viewers the function to download your videos and watch them offline. This job is best left to a virtual assistant who is well-versed with these systems and software. If you use Blogger and want to add the interest quotient to the content, you should consider adding a podcast to your blog. Many business owners find the process of creating and then inserting the podcast into their blog, a very tedious one; you can easily get this task off your plate, by hiring a virtual assistant. They will use good software like Podbean to embed your podcasts on your blogs. it does take time, knowledge and some practice to create Facebook Ad campaigns, but they can be effective if handled correctly. The other aspect of setting up these is that you also have to monitor them to assess whether they are proving to be beneficial or not, for your business. Hire a virtual assistant to use the Ads Manager tool and handle these tasks for you. Creating a Google Adwords campaign for your business is only the first aspect of using this digital strategy; and you also need to monitor these campaigns to see what is working well and what needs to be changed. It’s why you set up a Google Analytics account. Hiring a virtual assistant to create and monitor your Google Ad Words campaign can take this tedious job off your shoulders. Since every professional works in a certain field and has a specific area of expertise, you may find yourself needing many virtual assistants, each one handing different responsibilities and tasks. If you don’t have the time to look for and hire these people, you can hire a virtual assistant to recruit the other team members you require, as per your requirements. Blogs and website content are a very important part of your online presence; making a positive impact and keeping the readers interested is about writing informative content in a creative and engaging manner. Hire the services of a creative virtual assistant with some experience in blog writing and content creation. This will ensure the content adds to the value of your site and ups the credibility of your business. Just having a presence on the Internet in the form of a business website is never enough. Incorporating the right SEO techniques is one way to stay at the top of search engine results. Hire a skilled and expert SEO content writer to write web content, blogs and articles for your site; he will ensure your content acts like a magnet and attracts customers to your site. One effective way of keeping your business in the limelight is to publish press releases. 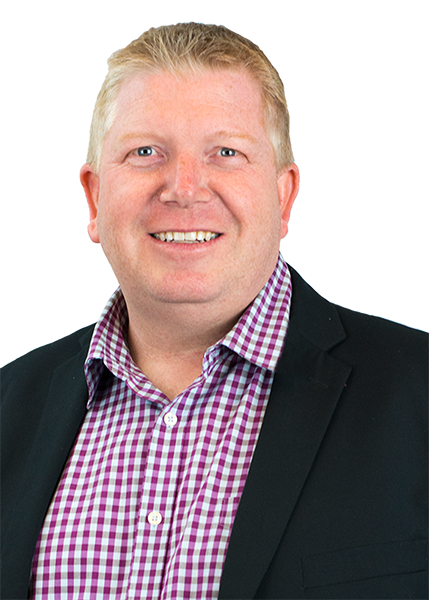 These are typically informative pieces that talk about any new product or service launches your business has made, any business agreements you have signed or milestones you have crossed etc. This press releases’ writing job can be outsourced to a skilled press release writer so the content sounds formal and professional and formal. Newsletters are a good way to stay in contact with your customers and you can send out a lot of informative and engaging content via the newsletters. An experienced newsletter writer would be able to meet your requirements and will ensure these are written in a causal, informative, yet professional manner. Once you give her/him the schedule at which you want these sent, the person may be able to handle the emailing aspect as well. When you have a business website, you will find that there is a constant requirement to update, edit or add new information to your website. Aside from this, there are times when you need to write journalistic style or newsletter style pages to send out to customers or clients. You can hire the services of a competent copywriter to manage all these tasks for you. There are a number of online article directory sites such as ezinearticles, hubpages, isnare, selfgrowth, articlebiz and a lot more, where you can submit your content. Publishing your articles in these directories is a great off-page optimisation technique to promote your content and information on the Internet and boost website traffic. Hire a good virtual assistant to handle this aspect of your online marketing strategy. Sometimes, you may want to post important and useful content that you have come across somewhere on the Internet. This could be informative and useful content that cannot be published in its original form. In this case, you can hire a virtual assistant to spin those articles and alter the original structure of the content, before you get them uploaded to your site or social media accounts. As a small business, you want your site and any other content you have posted, to have the furthest reach. Article marketing is a form of advertising in which you can write & distribute short articles via various outlets such as forums, article banks, and newsletter publishers. Hiring an expert virtual assistant for article marketing can save you a lot of time and trouble. Once your business website goes live and you have an SEO strategy in place, you also have to keep track of how the site is performing and whether the latter is effective. There are a number of tools that can be used to analyse content on your site and a virtual assistant can conduct business domain analysis, website analysis, keyword analysis as well as on-page optimisation and competitor analysis. Keyword research is one of the cornerstones of a solid and effective SEO strategy. But this involves a lot of hard work and has to be done skilfully; a virtual assistant can help by creating a list of starting terms and will then use the keyword research tools such as Google Keyword Tool and Market Samurai to expand that list and then refine that list with competitive research. Even as you build and strengthen your own online marketing strategy, you also need to know what your competitors are doing. Competitor websites have data that you can look at to get ideas for your own website marketing; this is where you should hire the services of a virtual assistant to conduct in-depth analysis on your competitor site’s data. This can help you alter your own strategy and stay on top of the game. Just as it’s important to have a great website, it’s equally important that you have impactful landing pages as these drive visitors towards conversion. This is a specialised job and you should consider hiring the services of a skilled virtual assistant to design and plan these pages and set them in such a way that they blend in seamlessly with the design content, product and message of your site. Whenever you update URLs on your business website, you are required to submit those to Google via Webmaster Tools so that they get indexed just as the rest of the pages on your site are. This is important if you want your pages to be viewable on searches on the Internet. A trained and skilled virtual assistant would be able to handle this job and will ensure that URLs are submitted properly. Once your website has been built and is ready for launch, you are required to submit the sitemap to Google via the Google Search Console. This will make it easier for Google to crawl and index your site so it will show up in searches. You would have to do the same on other search engines like Bing etc. as well and a trained and expert virtual assistant can handle this job for you. If you want your website to function at peak performance and want it to attract the attention of your target audience, you would have to focus on on-page SEO for all the pages or posts on your website. This isn’t a simple job and there are a number of technicalities involved in the process; it’s a good idea to hire the services of a skilled virtual assistant for this important task. Off page SEO is more than just adding links to pages and posts and it is an important component of your broader online marketing strategy. It tells Google what others are thinking about your site. Guest posts or content you write for blogs other than your own are all categorised as off-page SEO and hiring a virtual assistant to handle the task is the best way to get it right. Social bookmarking is essentially a centralized online service that allows users to add, edit, annotate and share bookmarks of various web documents. The virtual assistant you hire will handle bookmarking and tagging via different online bookmarking management services such as Digg, StumbleUpon, Reddit, Delicious and people that visit your site would be able to view, share, manage and organise bookmarks of various web pages. Once you have bookmarked your site, you also need to keep track of all the backlinks as that will help you understand how effective the strategy has been and what you can do better. A virtual assistant who is well-versed in this process would be able to create a social bookmarking tracking sheet that would tag and track the pages by type, quality and topic. Blog commenting is the exchange of ideas and thoughts between the visitors and the blogger; this is a form of knowledge sharing and is an integral part of off-page optimisation as updated blogs are a great way of attracting the attention of search engines. When you hire a virtual assistant for this job, they will ensure that this process runs smoothly and that the interaction is kept active. A large part of the success of managing an online discussion via a forum lies in the preparation and it’s also a great way of building a community and keeping the communication going. But this process also needs planning and moderating and you can hire the services of an experienced virtual assistant to moderate the proceedings and discussions on an online forum. If a larger percentage of your backlinks come from sites that have high trust flow metrics, it helps improve your SEO rankings; link acquisition will also become easier and you will have a much high PR. But this job needs constant attention and a lot of hard work goes into it as well. The best way to get it right is to hire a good virtual assistant to handle this aspect of your SEO campaign. SEO is never a set and forget strategy and it is crucial that you use Google Analytics tools to understand how your site is performing, the amount and quality of traffic that is visiting it etc. Creating these reports and maintaining them is a time-consuming job. A trained virtual assistant will track all the data and performance details which will help you tweak and make changes to your strategy if required. Once you have created a keyword list and have begun using it on your site, you also need to track the performance of those keywords. This will give you a better understanding of what’s working and want isn’t so you can incorporate changes as necessary. Hire a virtual assistant to produce monthly keyword ranking reports so the data and statistics can be used to improve the performance of your site. When it comes to creating brand recognition, consistency is everything; and you need to focus on creating the right logo and icons as well as website banners and eBook headers and covers. Hiring a creative professional virtual assistant with experience in this field can go a long way in making the impact you want. Inforgraphics are a very important part of an online marketing strategy and companies like to post informative content for their visitors to read. Most infographics also contain images and you can hire a virtual assistant to design infographics images based on the content you provide and want to upload. A skilled designer will ensure that the images sync well with the textual content. Designing a website takes a great deal of creativity, knowledge of various aspects of web design, SEO etc. But even before a website is created, the designer can provide you wireframe/mockup of how the site will look. You can hire a credible and experienced virtual assistant to create the mockups using online tools such as Mockingbird, Mockflow etc. and they will share the mockups with you for approval. The landing pages as well as the opt-in and sales pages on your site are crucial to the overall working of your marketing strategy as they encourage visitors to convert; and that increases your profitability. If you want these pages to be effective and encourage visitors to opt in and buy, you should hire a virtual assistant to design them to be in sync with the branding and products of your company. When you upload videos to your site or YouTube etc., you want them to be professional, informative and impactful and that means the editing has to be done in an expert manner. A good virtual assistant would be able to handle basic video editing where in the raw footage you provide is spliced with the necessary intros and outros to create a more finished output. Many business owners opt for Wordpress sites and this is a very user-friendly system that is easy to use and keep updated. But there are a number of site support tasks that require a certain amount of technical knowledge and a virtual assistant can tackle the job of developing and providing support for your PHP website. This will ensure it functions in a seamless manner. Managing your Wordpress site is a lot about installing the appropriate plugins and themes. For this, you would need access to your plugins manager and have a basic understanding about how the tool works. Hiring a virtual assistant is the best way to get this right- the person will install plugins from your external storage, WordPress repository or even your favourites list via your Plugins Manager. There are a number of standard Wordpress Themes that you can use for your website; but if you want to make it look unique, customisation is the way to go. Creating a customised Wordpress theme takes a whole lot of creativity and an understanding of how the platform works; a skilled virtual assistant can work with you and provide you a great custom Wordpress theme for your site, based on your specific needs. Once you install Wordpress, there are a number of plugins that you can use to enhance the functionality of your site. These software applications can give a distinct boost to the features and functions of even a basic site. You can hire a virtual assistant to help you add the plugins you want based on the functionality you want to provide your visitors. Every website requires regular site maintenance as formatting issues can surface out of the blue. You may also want to update the content on your site to reflect new products, services or may want to tweak the existing design of the website. Hire a virtual assistant to help with site maintenance, troubleshooting as well as to conduct checks and enhancements on your site’s security settings. If you have an ECommerce website, you need to have to integrate a payment gateway function so customers can purchase products /services via your site. This merchant service authorises the processing of direct or credit card payments for Ebusinesses. A virtual assistant can help with setting up this merchant account that will have the ability to accept payments through the Payment Gateway.